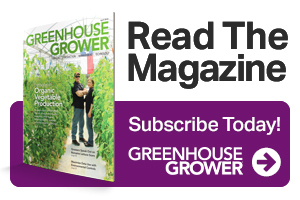 Greenhouse Grower remains the number one business media source in floriculture production for two simple reasons: We deliver the critical information and solutions that growers need, and we deliver results for our advertisers. Through print advertising, emedia, custom marketing projects, award programs and in-person events, Greenhouse Grower gives you targeted marketing initiatives to help your brand message reach this important buying audience. Fill out the form to receive your media planner!